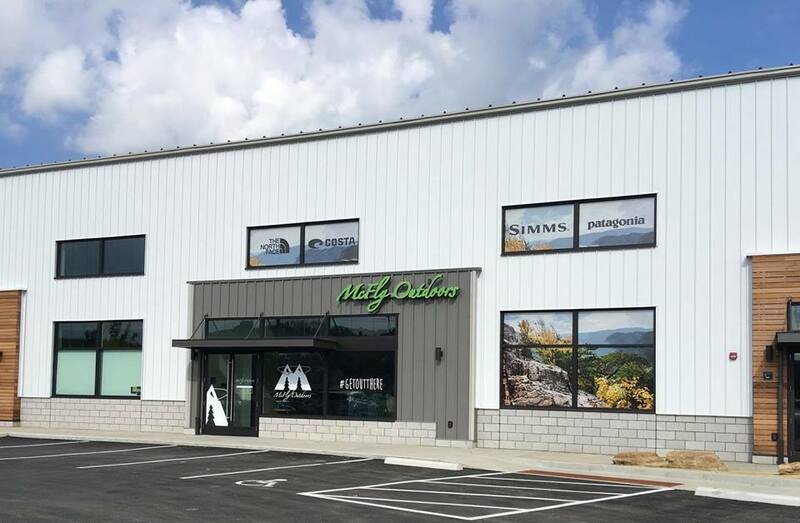 Located in the new West Ridge development in Westover, McFly Outdoors of Morgantown is out newest location—opened in 2018. McFly Outdoors of Morgantown features an expansive fly shop collection, hunting gear equipment, and premium outdoor apparel from brands like Patagonia, The North Face, Mountain Khakis, and more! The Morgantown location also features an exclusive expanded collection of Christensen Arms. 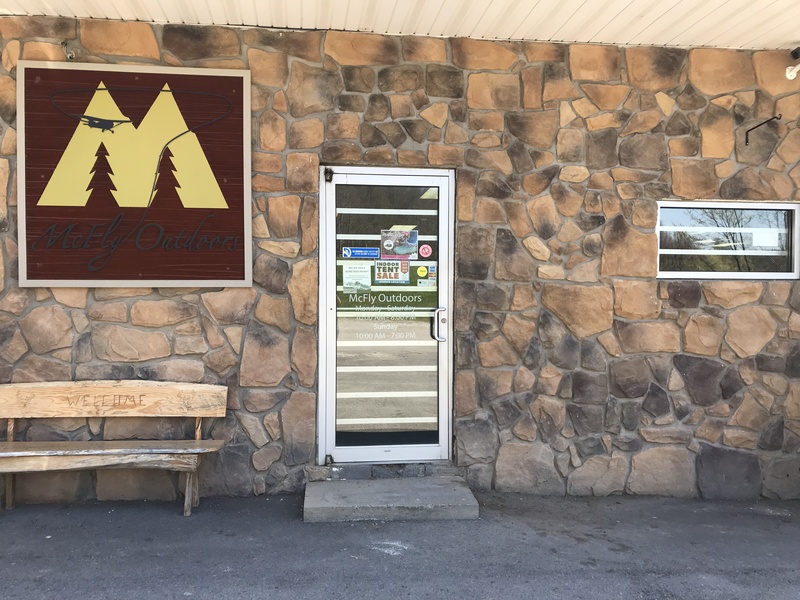 McFly Outdoors of Morgantown focuses on delivering the best customer service and product selection in the area, and our dedicated staff are some of the best you’ll find because they love the outdoors as much as us! Whether you’re a hunting enthusiast, recreational angler, or a stylish outdoorsman or outdoorswoman, there’s something for everyone at McFly Outdoors of Morgantown. To get to us, take the Westover exit from I-79, continue past the Morgantown Mall and we’re located behind Weimer Hyundai (formerly Freedom Hyundai) on the right. Located down Georgetown Road and just off Route 33 in Horner, West Virginia, McFly Outdoors of Horner is the biggest store of the McFly Outdoors chain. The 24,000 square foot store has a Firearm Room, Archery Pro Shop, Hunting Apparel & Casual Apparel Department, Footwear Department,Fishing Department, Fly Shop, Trap Shack, and Indoor Firearm Range & Indoor Archery Range. The McFly Outdoors of Horner Firearm Department carries one of the largest firearm inventories in the state, giving our customers a variety of firearms to choose from. O ur Archery Pro Shop is a Hoyt and Mathews dealer and carries the largest inventory of crossbows in our area. McFly Outdoors of Horner is focused on providing the best service and product selection to our customers. Whether it’s determining what Rocky hunting boot is best for your type of hunt or which firearm you are most comfortable carrying concealed- our staff is here to help! McFly Outdoors staff is product trained and often put products to the test themselves. Many times our McFly Outdoors of Horner firearm salesmen will not only assist you in the decision of purchasing the handgun that is perfect for you but will also assist you in the range after your purchase to see that you are comfortable with your new firearm. *Range is sometimes closed for events. Located in White Oaks just of exit 124 on I79 in Bridgeport, West Virginia, McFly Outdoors of Bridgeport recently opened in July 2015. McFly Outdoors of Bridgeport has a predominant Fly Shop carrying brands such as Simms, Sage, Fishpond, Redington & Rio. McFly Outdoors of Bridgeport also introduced many new brands to the McFly Outdoors family that is not found in its other stores. 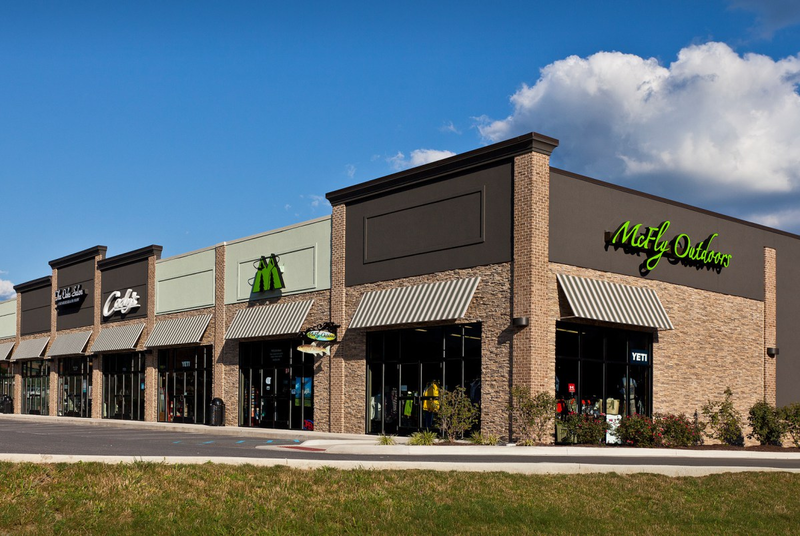 Brands such as The North Face, Mountain Hardwear, Mountain Khaki, Patagonia, Olukai and Legendary Arms Works can be found at McFly Outdoors of Bridgeport. McFly Outdoors of Bridgeport is focused on providing the best service and product selection to our customers. Our hope is that our customers realize that we are dedicated to giving them the best selection of quality products that are on the market today. Along with great brands our expert staff is well trained in product knowledge and always available to help.